People were created to be loved. Objects were created to be used. If you’re confusing the two, you could be in trouble. Or causing trouble. Or both. Real quick, think of five people you truly love. Now tell me what you did for them last week. Wait a minute. I’m going to call my dad. Be back with you in a minute. I’m back. Papa wasn’t home. At church I sat by my grandson. He is old enough to have his drivers license, but he still gives me a hug and puts his head against my head at some time during the service. He tells me he loves me. And I know he does because he acts like he does. And I treasure every single Sunday when I see him. Actually, it is “them” because he’s not the only sweet grandchild I have. Loving someone means you place their happiness over yours. Loving someone means you trust someone. It doesn’t mean they are perfect because they will err and they might hurt you, but trust them anyway. Loving someone means you don’t have to correct them. You realize that they can be wrong and it doesn’t change the fact that you love them. Loving someone means you compromise because it isn’t always about you and what you want and need. Loving someone means you listen with your ears and your heart. Loving isn’t easy. And it isn’t perfect, because people are never perfect. You included. Me included. Loving is something we learn to do and we can get better at doing it. Some people make it easy to love them. Some people don’t. Some people have all sorts of expectations of you if they love you. Some don’t. Some people seem to want to make you perfect, when you know that you aren’t. And you aren’t ever going to be perfect. That’s a fact of life. Now, go back to that list of people you love. Do something this week that reminds them that you love them, without correcting them, without criticizing them, without asking them to do something for you, without forgetting to listen to them. Just enjoy. Enjoy the fact that you can love and that you have someone to love. Remember we are created to be loved. And we were created to love. 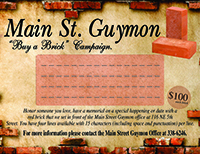 And remember that the PubFest is Saturday and I would love to see you on the bricks!